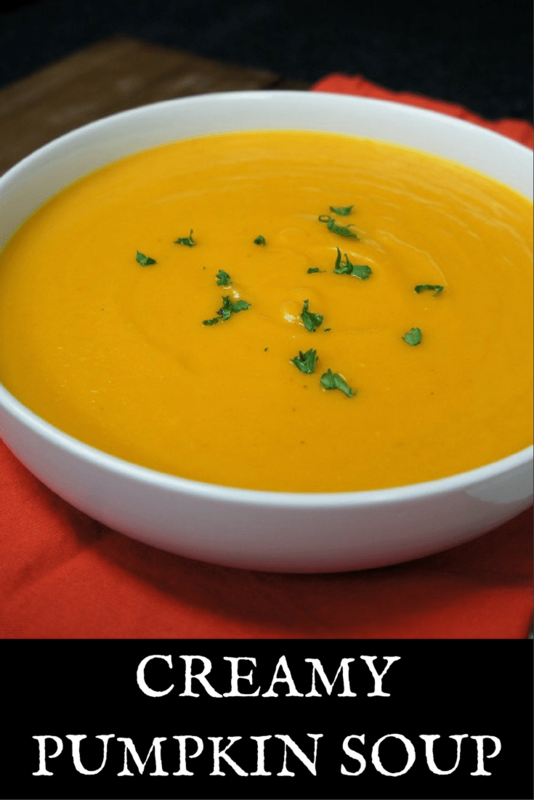 This Creamy Pumpkin Soup is loaded with good-for-you veggies and spices, with just a little bit of bacon and cream to keep things fun. It’s really easy to make, and doesn’t take too long. It’s a perfect starter soup, or serve it with a big piece of crusty bread for a light dinner. Plus it makes a nice, big batch so you can put a little away for lunch. Enjoy! Add the chopped bacon to a large pot over medium heat. Cook gently for 5-6 minutes, to cook the bacon and render the drippings, stirring frequently. 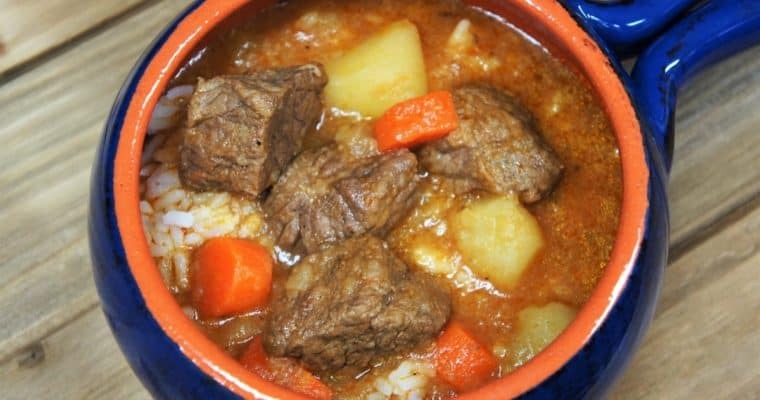 Add the onions, carrots and celery to the pot, cook for 5 minutes, stirring frequently. Next, add the garlic, cumin, oregano and nutmeg, cook 1-2 minutes, stirring frequently. Add the pumpkin to the pot, stir. Raise the heat to medium-high; add the chicken broth. Bring the broth to a simmer, lower the heat to medium-low, cover and cook for approximately 30 minutes until the pumpkin is very tender and breaks apart easily when pressed with a fork or spoon. Remove the pot from the heat. Process the soup in the pot with an immersion blender until it is completely smooth. If you do not have an immersion blender, use a blender. Do not fill the blender to the top with hot liquid, process in batches. Return the pumpkin soup to the pot. 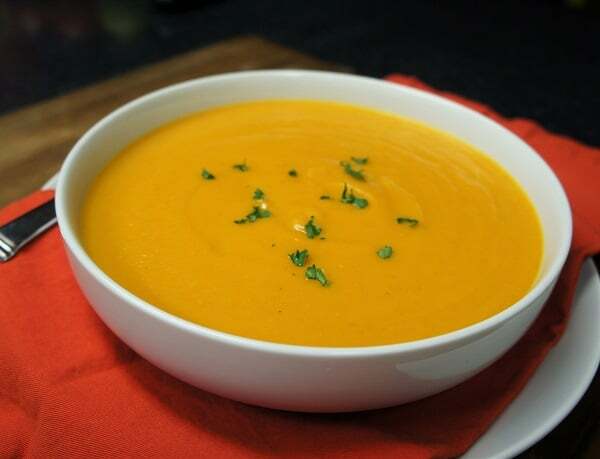 Over low heat, add the half and half to the pumpkin soup, stir and heat until warmed through – do not let the soup come to a boil. Taste the creamy pumpkin soup and season with salt and pepper to taste. Garnish with the chopped parsley if desired. After removing the pumpkin seeds, don’t discard them – make roasted pumpkin seeds. Separate the seeds from the stringy flesh and rinse them well. Pat the pumpkin seeds dry, toss with a little bit of oil (I use olive oil) salt, pepper, paprika or your favorite spices. Arrange the seeds on a baking sheet in a single layer. Bake them in a preheated oven (350°F) until they’re dry and crunchy (start checking them after 10 minutes). 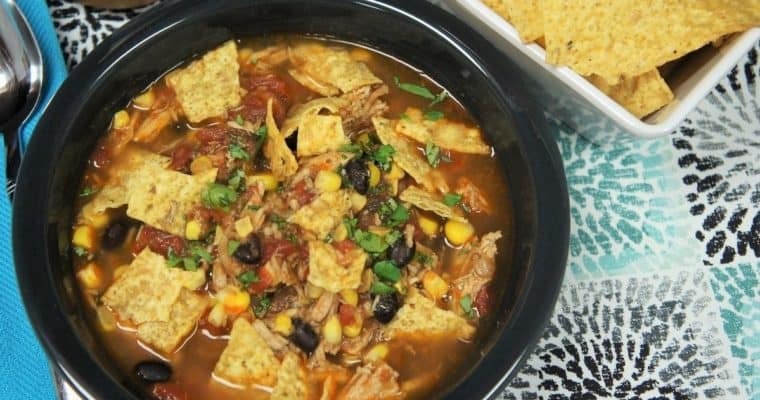 This chicken corn tortilla soup is budget friendly, easy to make and it’s delicious! Cut down the cooking time by using leftover chicken, store bought rotisserie, or poach some chicken breasts, takes about 25 minutes – either way, super easy. Add the tortilla chips to this soup right before serving and you have an amazing, hearty meal your family will love.